Woh! Page 100 of chapter one! Crazy! Finally, I'm hankering to run a little question-and answer activity on my tumblr- every Friday, posting five "facts" about the PoC characters. So if you've got a question, hop over to the PoC tumblr and hit the "ask/request" link. (I reserve the right to not answer spoilery or inappropriate questions, of course!) I'll do my best! This was the last Five Facts Friday post! I only clicked the link to come here because it said something about cats. 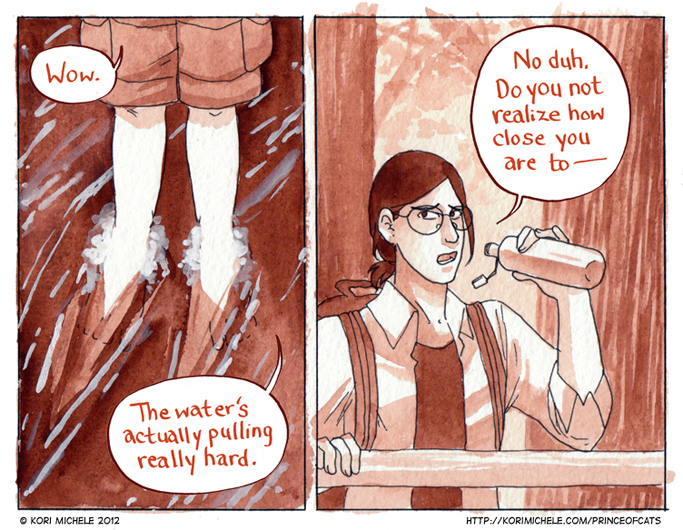 but i'm in LOVE, and this is getting added to my list of web comics.